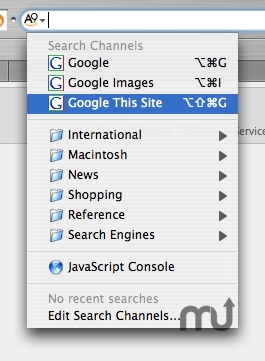 Add search channels to Safari`s Google field. Is there a better alternative to AcidSearch? Is AcidSearch really the best app in Internet Utilities category? Will AcidSearch work good on macOS 10.13.4? Version 0.7b4: Release notes were unavailable when this listing was updated. AcidSearch needs a rating. Be the first to rate this app and get the discussion started! AcidSearch is available in English, Japanese, traditional Chinese, Italian, and French. It is compatible with Tiger and Safari 2.0.